Cut pile is the most versatile of carpet options. Available in plush level cut, twisted fibers, textured yarns and patterns - there's a cut pile type of carpet perfect for any room in your house. Cut pile carpet is easy to maintain while also being easy on the budget. It's no wonder so many homeowners ask to see cut pile carpet in our Indianapolis flooring store. Regular vacuuming: The best thing you can do for your carpet is vacuum it weekly. 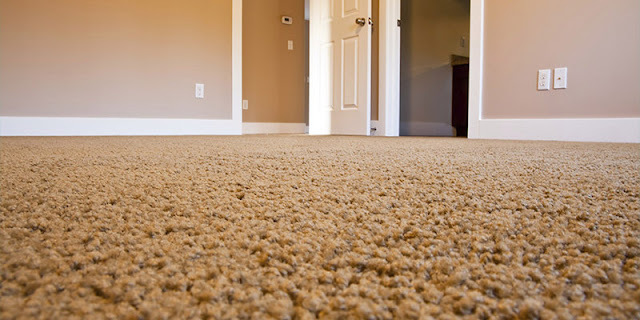 Removing everyday soil and debris from your carpet helps keep it from getting worn down and dirty. Professional carpet cleaning: Once a year you should have your carpet professionally cleaned. Doing so will help reduce fiber damage and dirt build up. Stain removal: Keep a stain removal kit close at hand and your carpet will thank you. What do you need in this kit? Clean towels and water. Remember to blot - not rub - a spill or stain and use water to help dilute it. Prompt attention with these simple tools can help keep stains from damaging your carpet. Get more carpet care tips in our free Carpet Care Guide. Homeowners looking for affordable flooring often turn first to carpet. The price per square foot can rarely be beat. And when you consider how long you'll have the carpet in your house, it becomes even more budget-friendly. You'll find high quality carpet at all points on the price spectrum when you shop at Kermans. We take pride in offering a wide variety of carpet colors and styles that are affordable for all. Plush saxony. Strong Berber. Durable textured. There are a surprising number of options when looking at cut pile carpet. Which is right for you? It depends on your lifestyle, the traffic the room will see and your interior design. Carpets with a combination of texture and pattern are probably the most popular right now. They do an excellent job of not showing wear and tear and add a lot of style to any room. Patterned carpets with their high design style are a close second. When you're ready to shop for carpet - consider cut pile carpet. 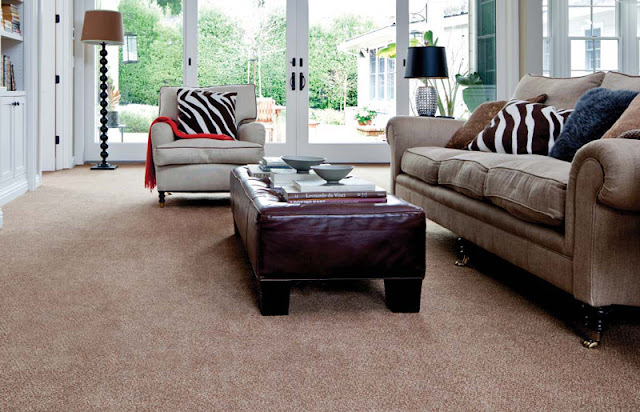 Use our free Carpet Buyer's Guide to help you determine the best carpet for your home. The guide includes valuable information to help you narrow down your choices and learn what options to consider when buying carpet.